Check out these video demos of the pen that records what you write while recording the audio of the conversation. It also imports both the audio and visual notes into your computer. 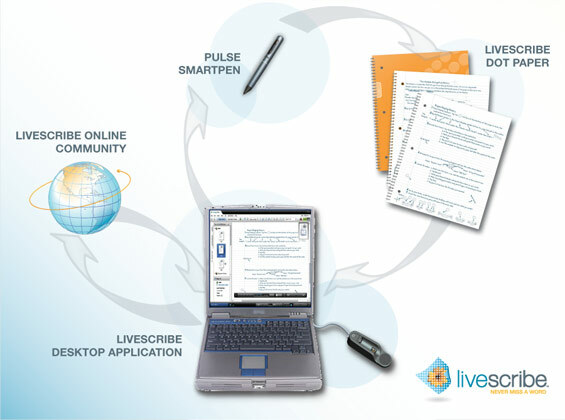 Smart Pen uses the Livescribe Paper-Based Computing Platform that turns a spiral notebook into a user interface. The pattern of simple, micro-dots enables a patented dot-positioning system to precisely track the smartpen’s movement on paper. As a result, anything you write – words, numbers or drawings – can be stored, recognized, and intelligently responded to by the Pulse smartpen. From prehistoric cave walls and charcoal to the modern notebook and fountain pen, the human need for spontaneous self-expression through drawing and writing has endured. People have actively used writing tools and paper, in one form or another, for thousands of years. Livescribe Chief Executive Officer Jim Marggraff introduces a new solution to this age-old problem and a long-term vision on how paper-based computing will advance the next chapter in mobile computing. Livescribe’s intelligent writing system includes an innovative smartpen and dot paper that together bring traditional paper to life. By developing a paper-based platform, Livescribe will fundamentally change the way people capture, use and share information with pen and paper, making the possibilities of pen and paper endless. With Livescribe, people will no longer have to settle – they can have the best of both the paper and digital worlds. 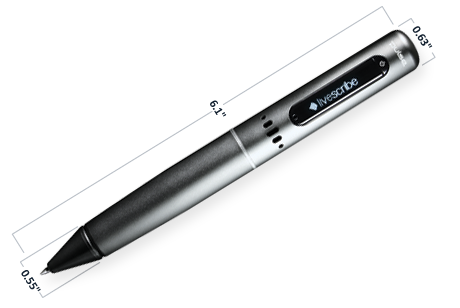 From now until 12/31/08, you can get 5% off a Pulse smartpen at www.livescribe.com by using SCRIBE5A50 at checkout. Thanks, and enjoy the videos!